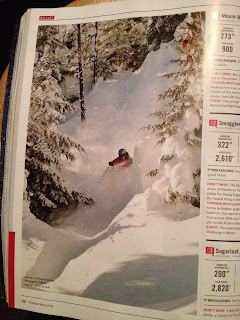 I remember as a kid, going to Warren Miller films or reading ski magazines and thinking to myself that I would never be able to lead the lifestyle of the ski bum, living in Vermont. All photos and videos were of men, usually shot in Jackson Hole or somewhere else far away, and it was hard for me to relate to that image of skiing. 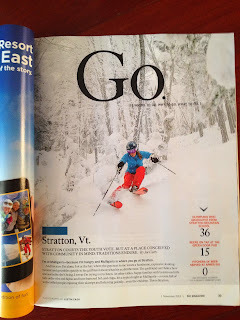 I went through the race program at the Mount Mansfield Winter Academy here in the green mountain state, and kind of forgot about my dream of “extreme skiing,” or freeskiing as we call it now. It was not until after college, when I moved out to Crested Butte, Colorado that I started to consider signing up for a competition. I dedicated my time for the next few seasons to training hard and working on my progression in the sport, and I was happily encouraged by decent standings in the events. At the end of the day, however, I still felt like I was far away from what I had imagined being a ski bum would be. There was a lot of work and not enough play. When I came back to Vermont to go to grad school, I once again got it into my head that the ski life would be over for me. I could not have been further from the truth. Coming back to Vermont forced me to get in touch with what I truly love about the sport. The weather here is inconsistent and demanding, the snow variable, and the woods thick and wiggly. I saw this not as a deterrent, but as a new challenge and this new perspective allowed me to wander through the backcountry with no expectations for how the day should turn out. There was no winning or loosing, no “I need to hit the biggest drop we can find.” Instead I found an inner ski peace. It is funny how life works, because I think the universe sensed my new mentality and decided to reward me for it. In the last two months I was excited to find my photo for the first time in the 2013 November edition of Powder Magazine, taken by my wonderful husband Dana Allen in the woods of Smuggler’s Notch near Stowe. It was a playful day and I think that was reflected in the photo. Following that appearance, I had another photo in the 2013 November edition of Ski Magazine taken by Justin Cash at Stratton, a place I never thought I could have so much fun on skis, and never would have experienced if I had not moved back to Vermont. Being in Vermont has also been made better by the amazing support from Mammut who has their U.S. headquarters just down the road in Williston. Getting to know all of the wonderful people who dedicate their day to the love of sports is inspiring and has encouraged me in my ski endeavors. We all come to realizations at different points in our lives, and I think I have slowly accepted that while the skiing is great out west, all I need to do is keep my sense of adventure and love for the outdoors, and I will be happy no matter where I am, and good things will come from that.